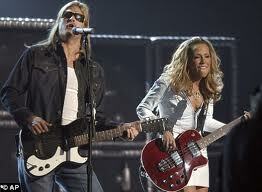 Kid Rock and Sheryl Crow Summerfest tickets are now available from Ticket King Milwaukee. As you may know, Kid Rock and Sheryl Crow are the latest headliners added to this year's Summerfest lineup. They will headline the Marcus Amphitheater on Sunday, July 3rd as a part of Kid Rock's Born Free tour. Born Free is the name of Kid Rock's latest album. His previous album, Rock N Roll Jesus went triple platinum. Here's a fun fact, Kid Rock's actual name is Robert James Ritchie. He was given the name Kid Rock in high school when he would DJ at parties.